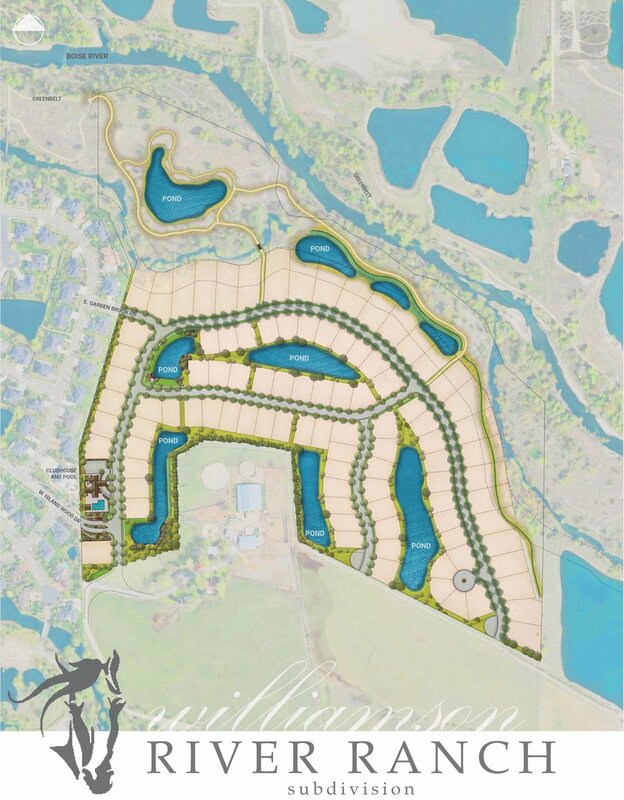 Williamson River Ranch — The Land Group, Inc.
Williamson River Ranch is designed to be a natural extension of the existing quality neighborhoods that surround the development and complies with the goals and strategies of the City of Eagle. This project includes 74.32-acres with 112 total lots, including 97 single-family residential lots and 15 common lots. The 15 common lots provide amenities such as water features and pond access, including active open space at the northern portion of the property, adjacent to the Boise River. The clubhouse, designed by Glancey Rockwell & Associates, offers residents a pool and several meeting areas. The site is designed to provide safe and convenient access for all circulation types to and from the surrounding neighborhood.